A few open-source software we developed for visual analytics of urban data: TrajAnalytics, NeighborVis, and GeoVisuals. Ye Zhao is a professor in the Department of Computer Science at the Kent State University, Ohio, USA. He has been working on computer graphics and visualization for more than 20 years. His current research projects include visual analytics of urban transportation data, multidimensional, text, and animated information visualization, patient-specific computational hemodynamics modeling, etc. He has published numerous refereed technical papers, many of which are on top-rated venues including IEEE Transactions on Visualization and Computer Graphics and ACM Transactions of Graphics. He has served in many program committees in the field of graphics and visualization including IEEE SciVis and VAST conferences. He has also reviewed hundreds of papers for journals and conferences in graphics, visualization, computational fluid dynamics, image processing, and high performance computing, as well as served in multiple NSF panels. His work has been supported with more than $1.5 million by research grants from NSF, Ohio Board of Agents, etc. Five doctoral students and many master students have been graduated under his supervision. Three of them received the University Fellowship, the most outstanding scholarship at KSU. His students have been working as assistant professor or entering prestigious companies such as Google, Lockheed Martin, etc. 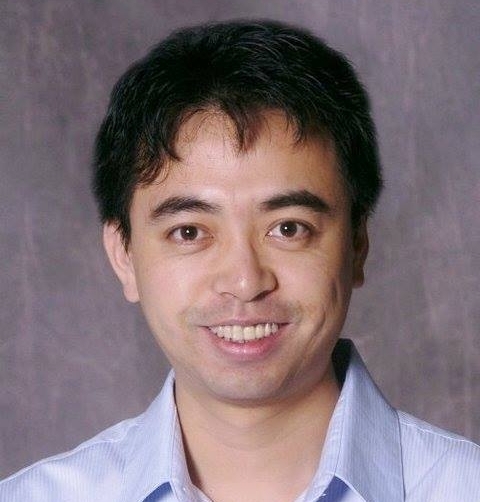 Ye Zhao received Google Faculty Research Award in 2011. In 2017, he is awarded as one of the best reviewers of IEEE Transactions on Visualization and Computer Graphics. Ye Zhao received B.S. and M.S. degrees in computer science from the Tsinghua University of China in 1997 and 2000. He further received his PhD degree in computer science from the Stony Brook University in 2006. National Science Foundation Grant ACI-1535031, PI, TrajAnalytics: A Cloud-Based Visual Analytics Software System to Advance Transportation Studies Using Emerging Urban Trajectory Data. National Science Foundation Grant IIS-1352927, PI, Visualizing event dynamics with narrative animation. National Science Foundation Grant IIS-0916131, PI, Real-time simulation system of turbulent fluids. National Science Foundation REU, Research Experiences for Undergraduates. Ohio Board of Agents (OBR) grant, PI, Visual analytics science and technology of Translational Biomedical Sciences. Yingyu Wu (M.S., 2014), Ebay Inc.